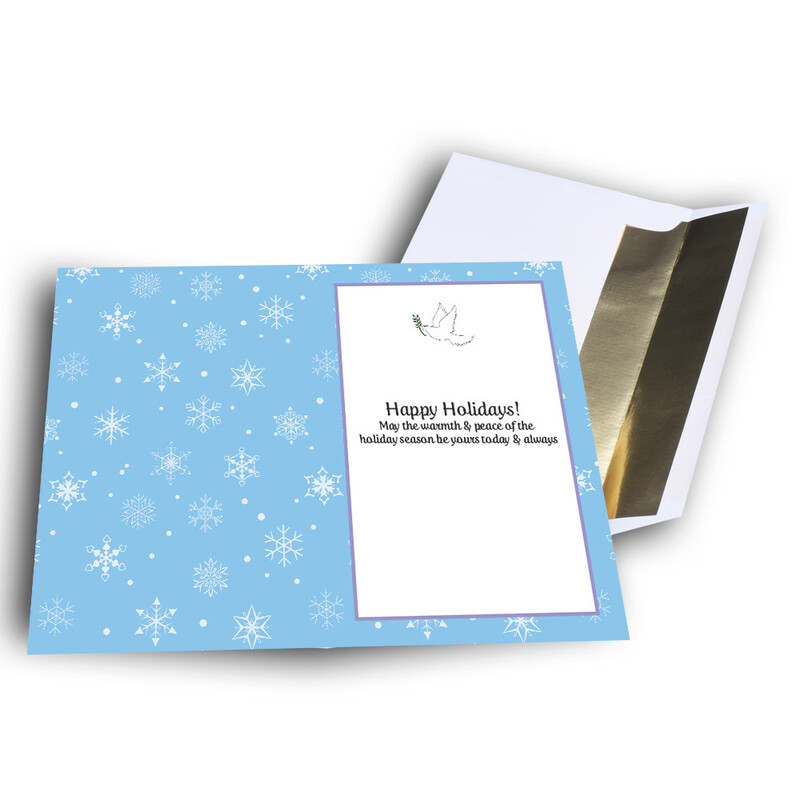 Share some serenity and warmth with this peaceful holiday card. 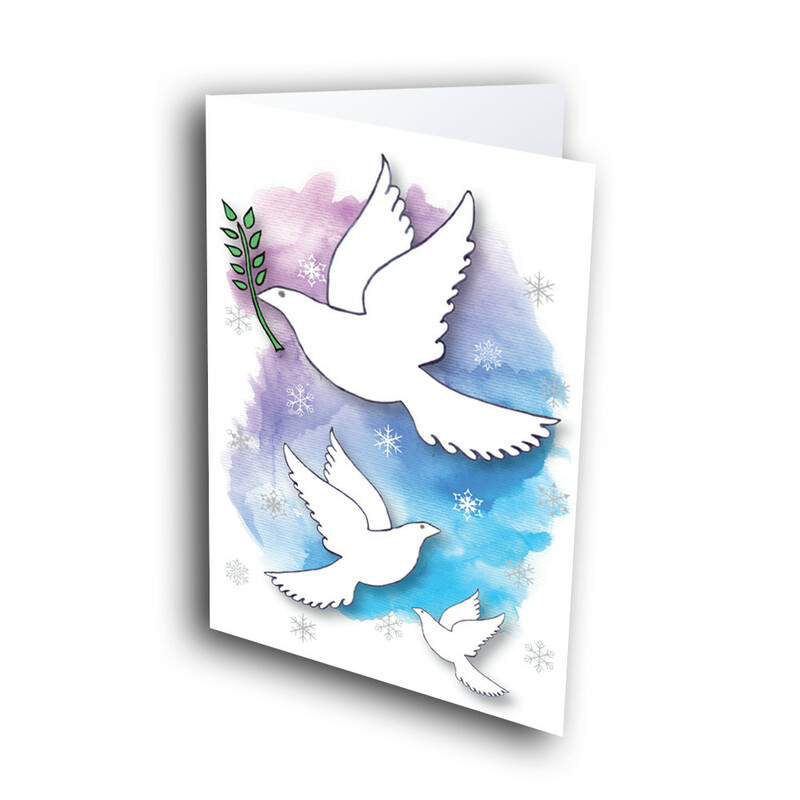 This holiday card is sure to send a message of peace and comfort to those who recieve it. 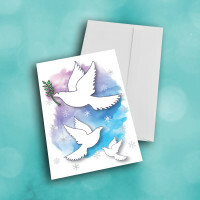 Graceful white doves take flight against a watercolor background of blues and purples, interspered with delicate snowflakes. 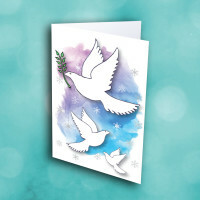 The inside features more of the same snowflakes against a powder-blue background, as well as a meaningful, warm message. 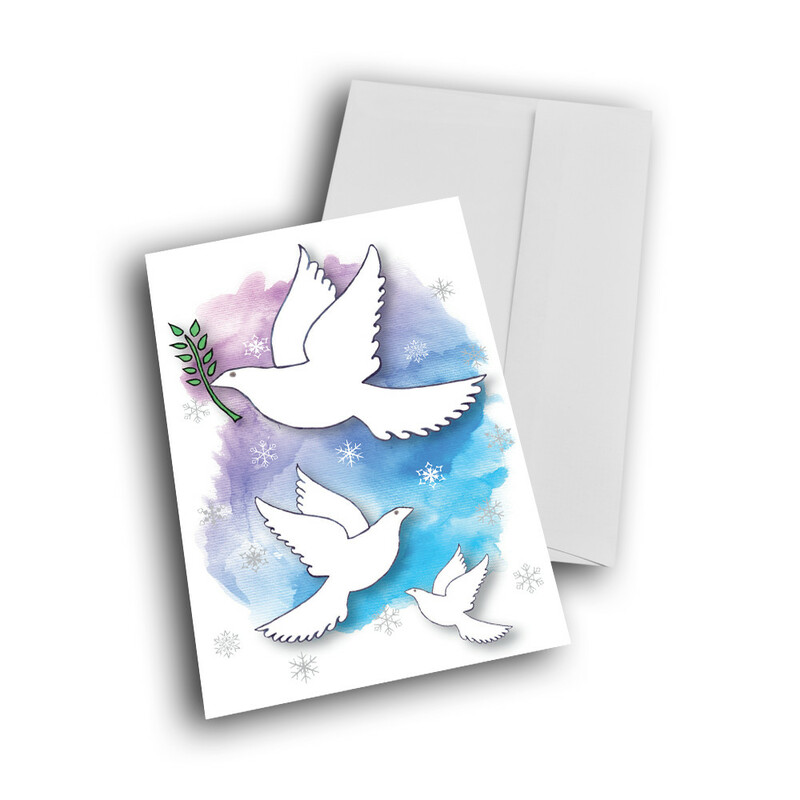 You can add your own personal touch to the cards to make them that much more special.